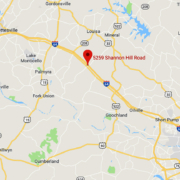 INTERSECTION OF I-64 AND SHANNON HILL RD (EXIT 148). 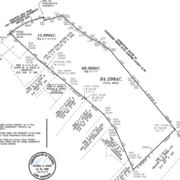 84.3 Acre Land For Sale. 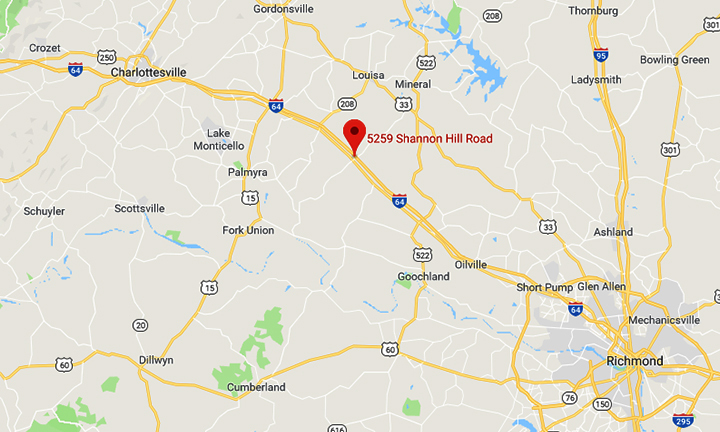 Intersection of Interstate 64 and Shannon Hill Road (Exit 148). 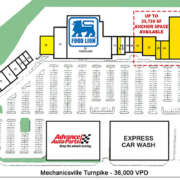 Heavy traffic on I-64 with 32,000 vehicles per day. 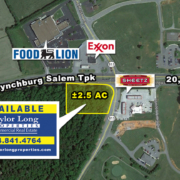 ±2,000 feet of direct frontage on I-64. 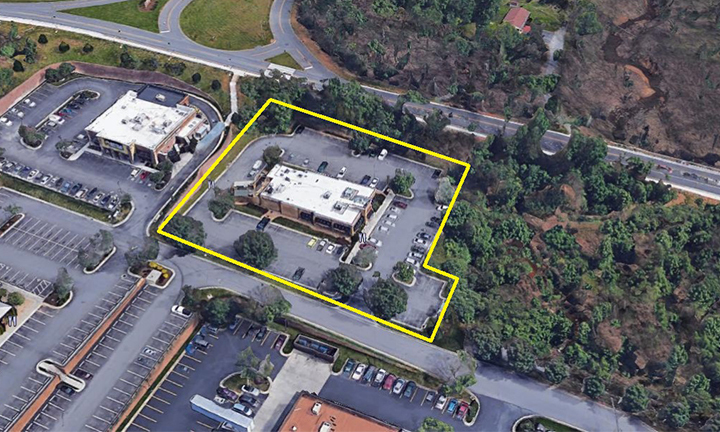 Corner Lot: 15.8 Acres, Zoned A1B1. 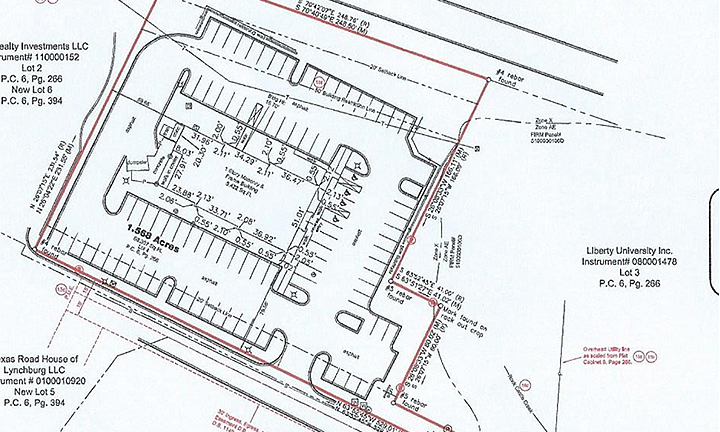 Lot 2: 71.03 Acres, Zoned A1. 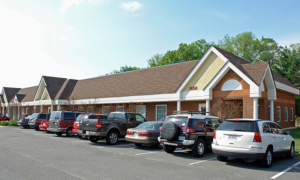 1,425 SF Freestanding Building For Lease. 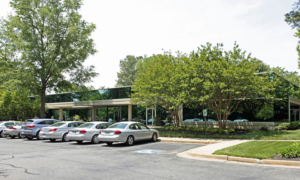 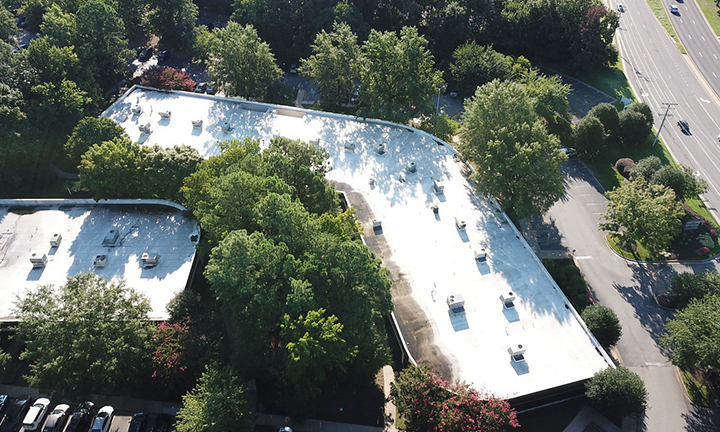 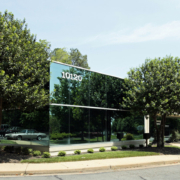 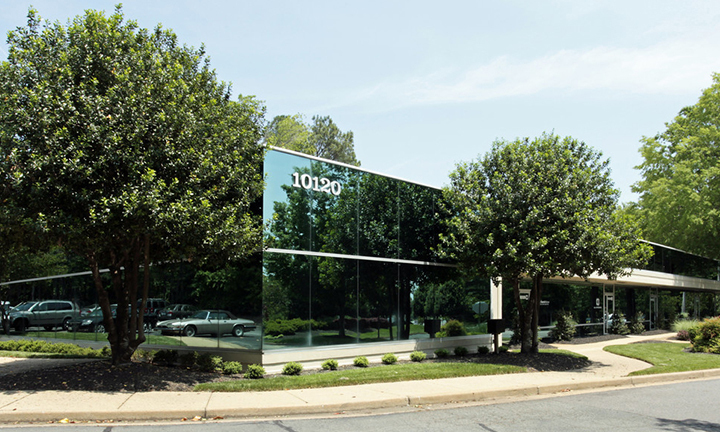 Located in Scott’s Addition, Richmond’s hippest and fastest growing area for business. 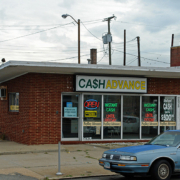 Direct frontage on W. Broad Street. 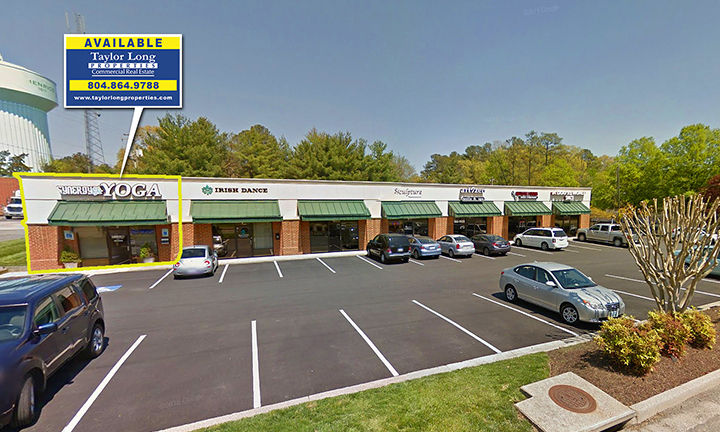 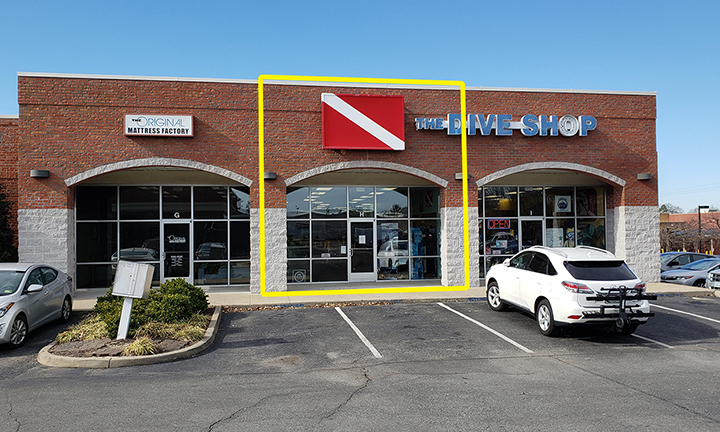 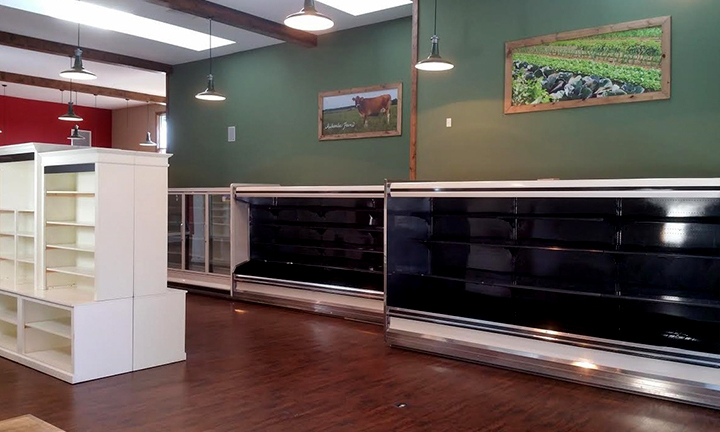 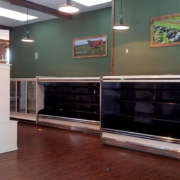 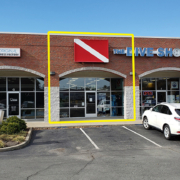 1,640 SF – 12,750 SF (Junior Box) retail space for lease. 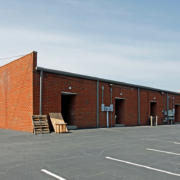 0.798-Acre pad site available for ground lease (198’x160’). 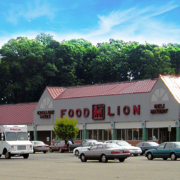 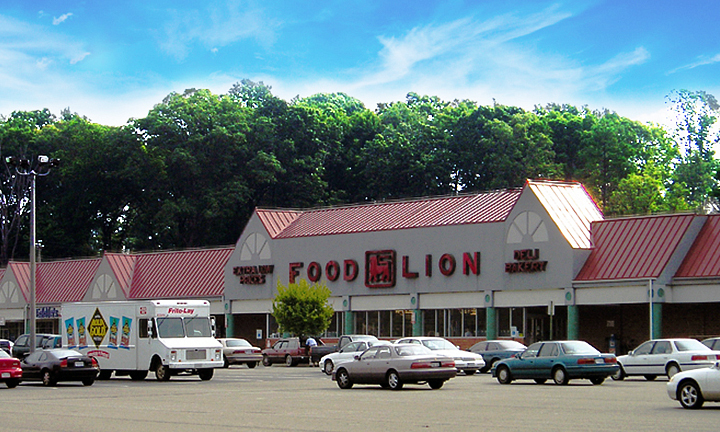 FOOD LION anchored neighborhood shopping center. Excellent visibility from Mechanicsville Turnpike (Route 60). 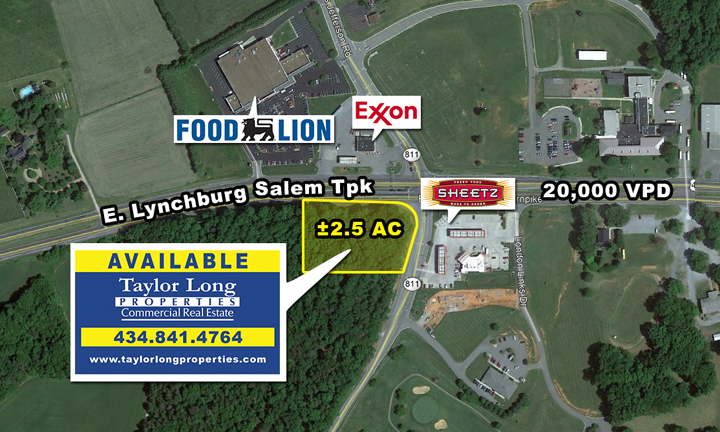 ±2.5 ACRE FOR GROUND LEASE. 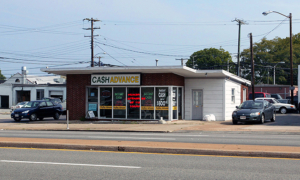 OVER 20,000 VPD ON RTE 460. 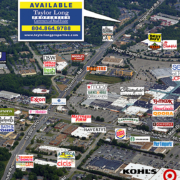 ± 2.5 Acre Prime Corner Parcel available for Ground Lease. 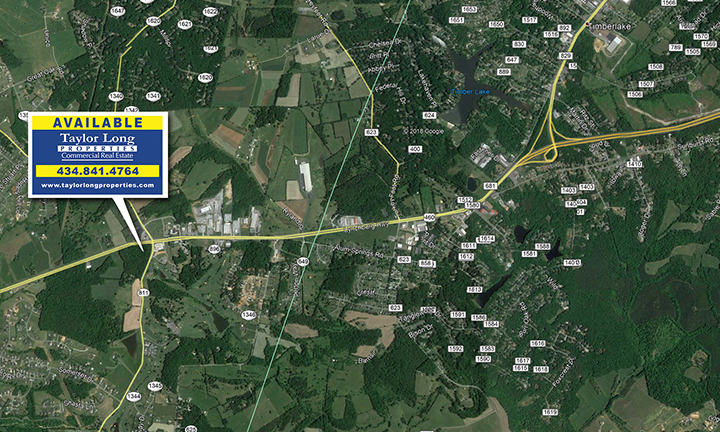 Intersection of US Route 460 and New London Road. 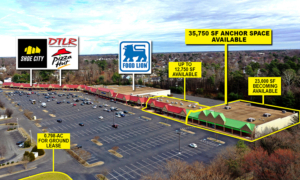 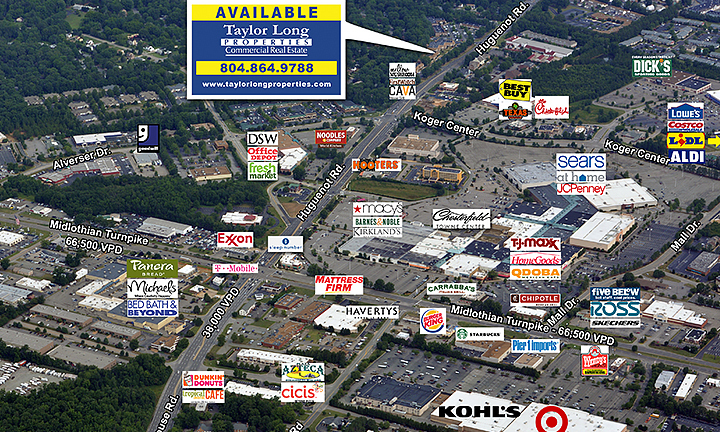 Directly across from Food Lion, Exxon and Sheetz. 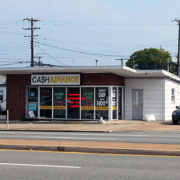 Excellent opportunity for retail or freestanding restaurant with drive thru. 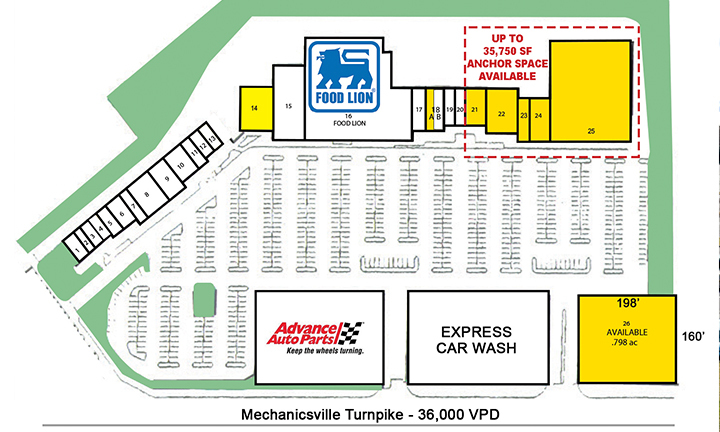 Over 20,000 vehicles per day on E. Lynchburg Salem Turnpike. 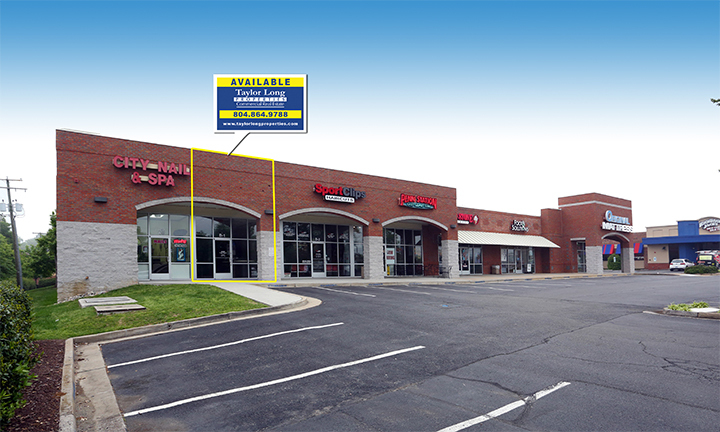 1,610 SF Endcap For Lease. 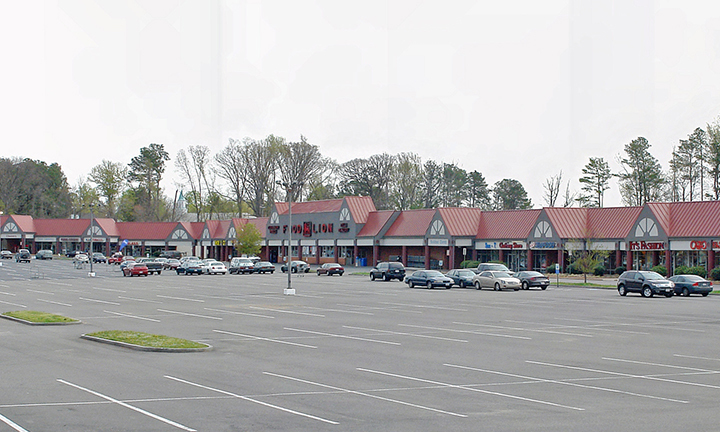 Close to the intersection of Cox Road and Broad Street. 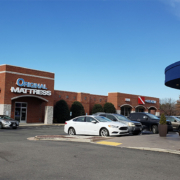 Great West Broad Street traffic (approx. 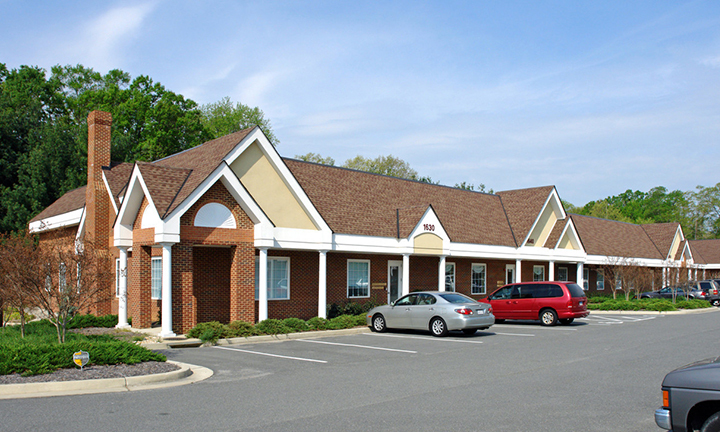 53,000VPD). 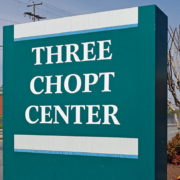 Located at the intersection of Three Chopt Rd. 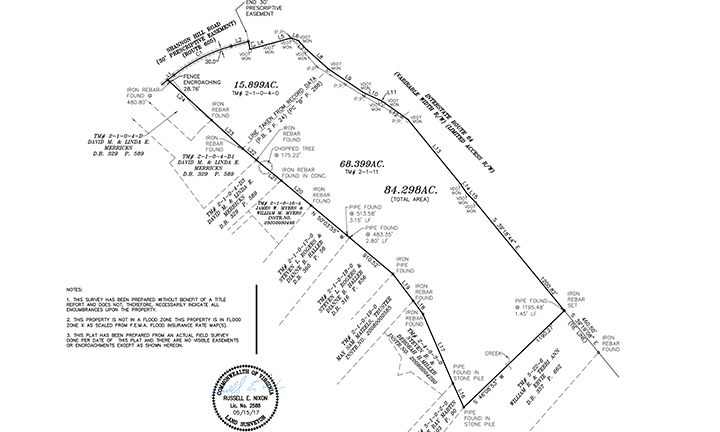 and Cox Rd. 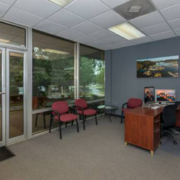 Two Office Spaces For Sublease. 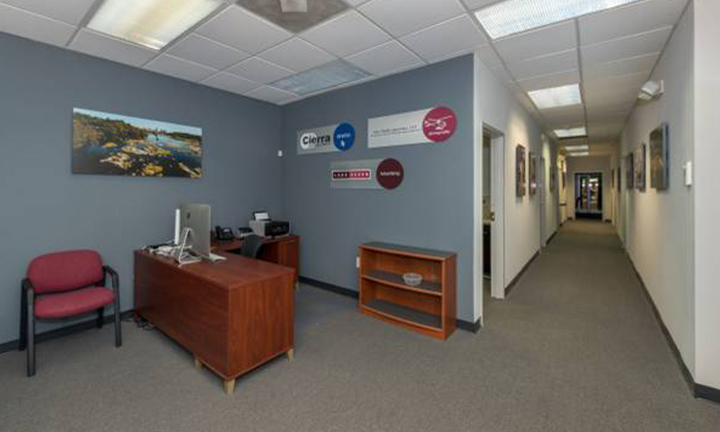 Available for immediate sublet in a suite shared with one other company. 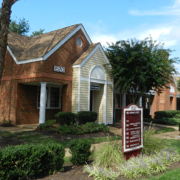 and water – All utilities included in rent! 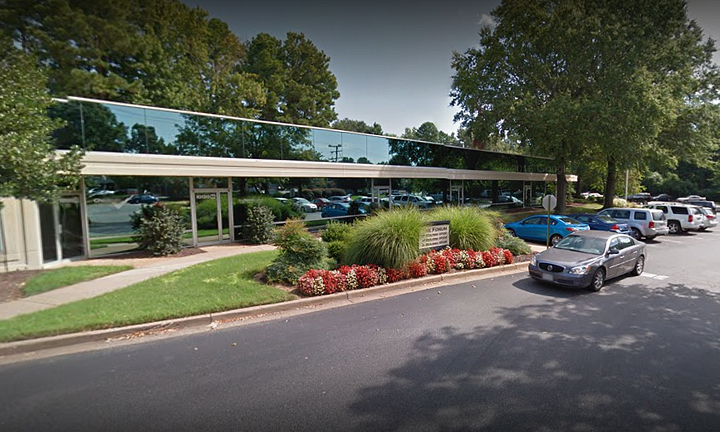 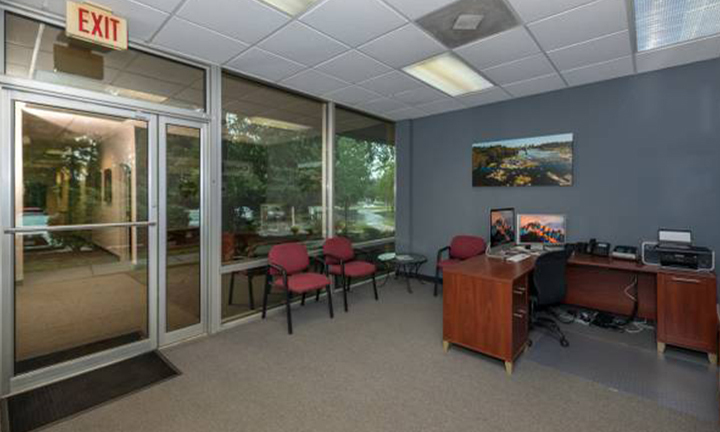 Great location in the Forum Office Park. 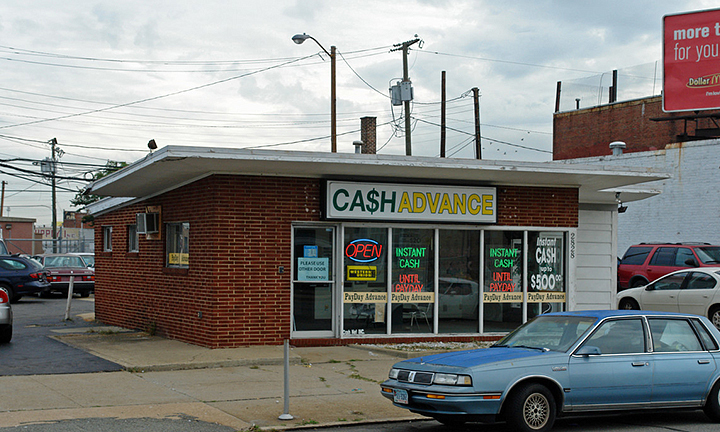 Direct frontage on West Broad Street. 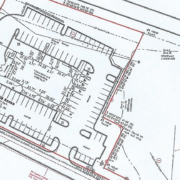 Primary lease expiring June 2021. 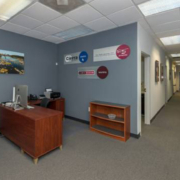 $950/Month per office or $1,900/Month for both. 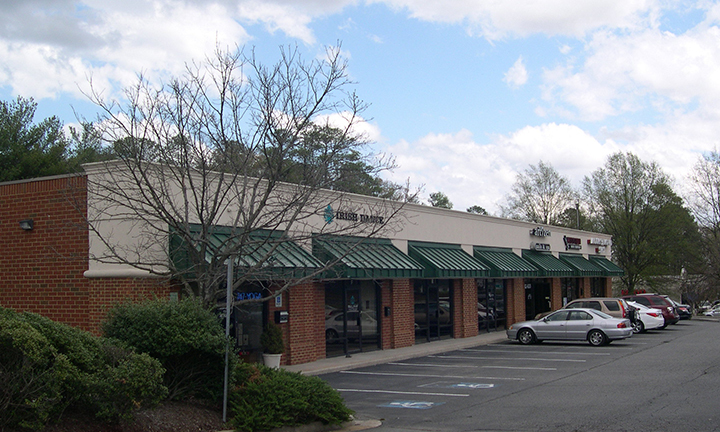 1,224 SF AND 1,450 SF FOR LEASE. 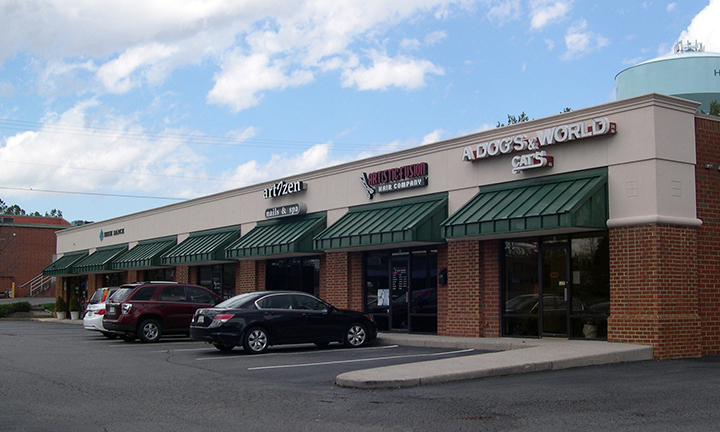 1,224 SF and 1,450 SF Retail for lease. 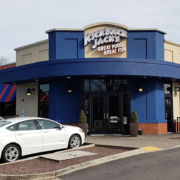 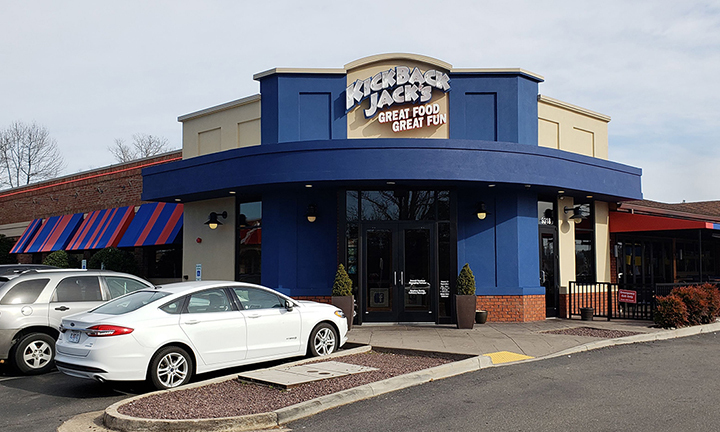 Join Kickback Jack’s and The Original Mattress Factory. 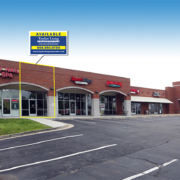 Direct frontage on heavily traveled West Broad Street. 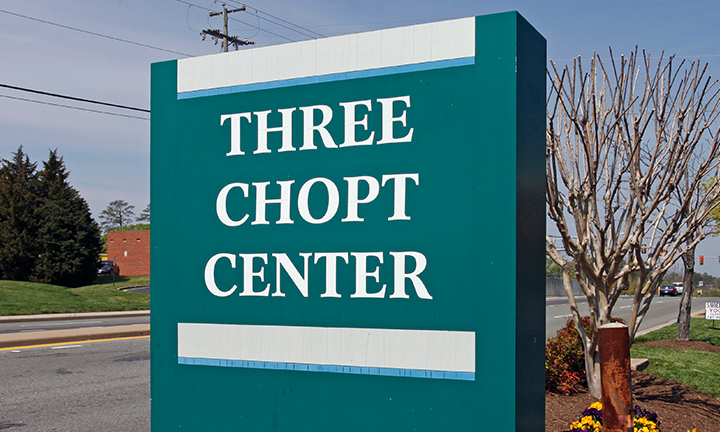 High profile monument signage available. 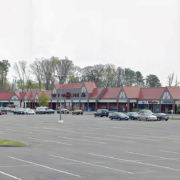 Excellent visibility and accessibility from West Broad Street. 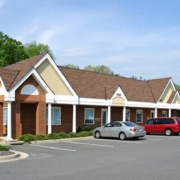 1,204 SF OFFICE FOR LEASE. 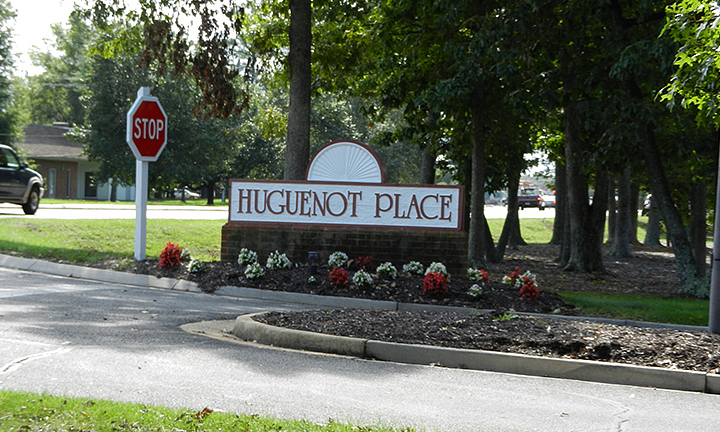 DIRECT FRONTAGE ON HUGUENOT ROAD. 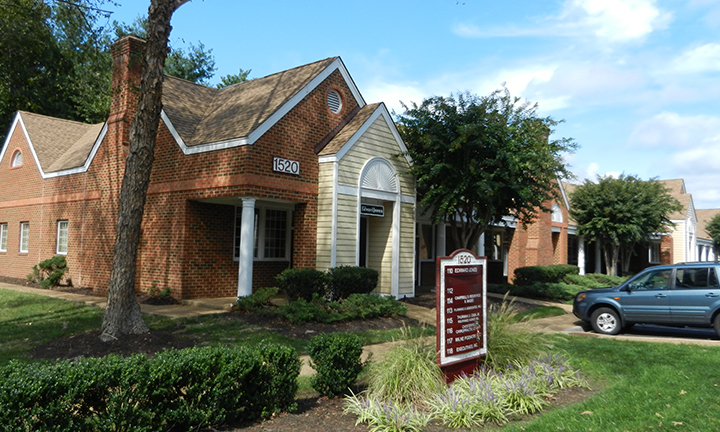 1,204 SF Office Space For Lease. 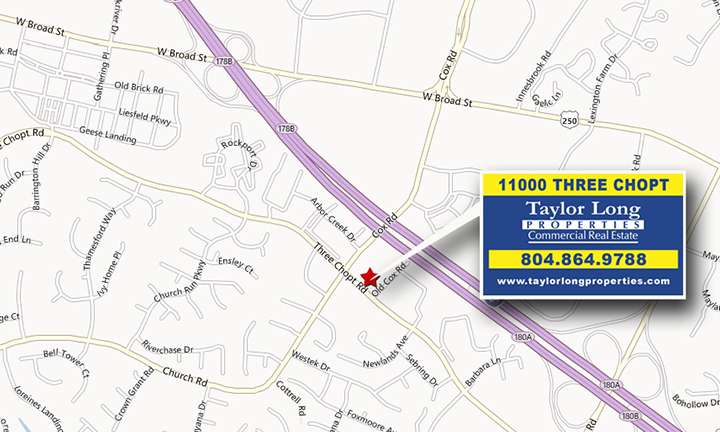 Conveniently located near Chesterfield Towne Center. 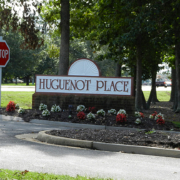 Excellent visibility from Huguenot Road. 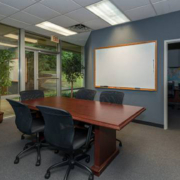 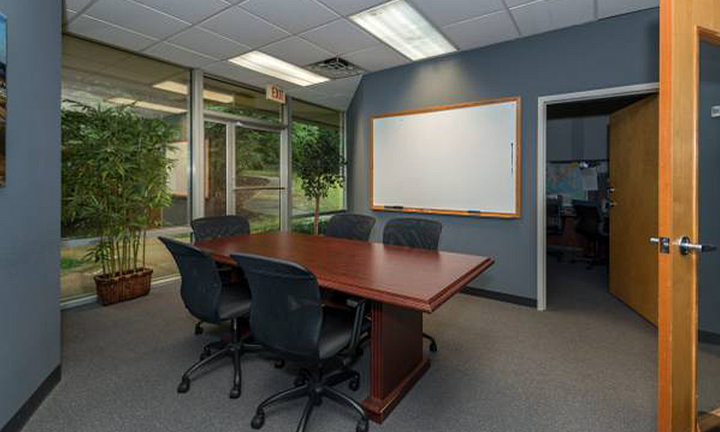 Perfect location for small business or satellite offices. 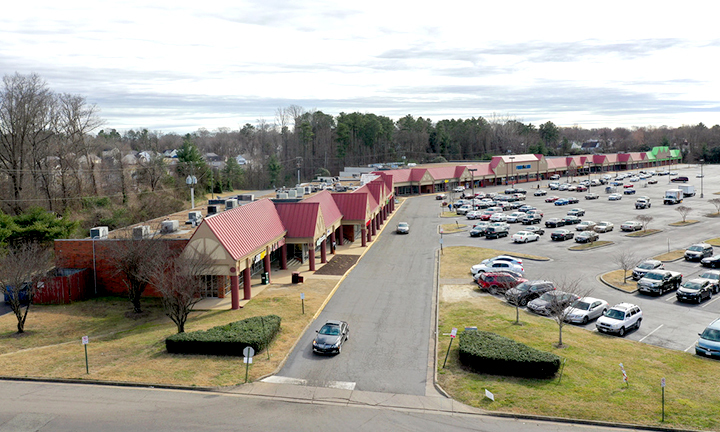 IN THE HEART OF SHOPPING CORRIDOR. 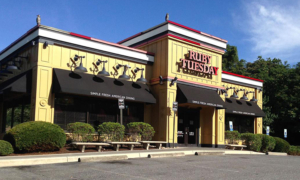 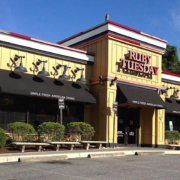 5,422 SF Freestanding Restaurant for Lease/Sale. 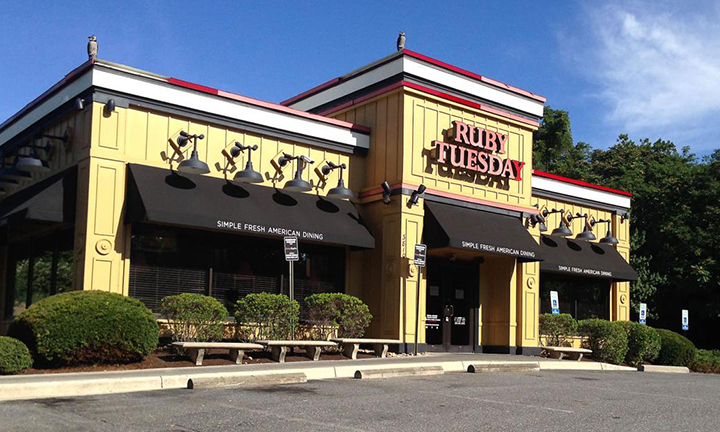 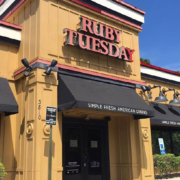 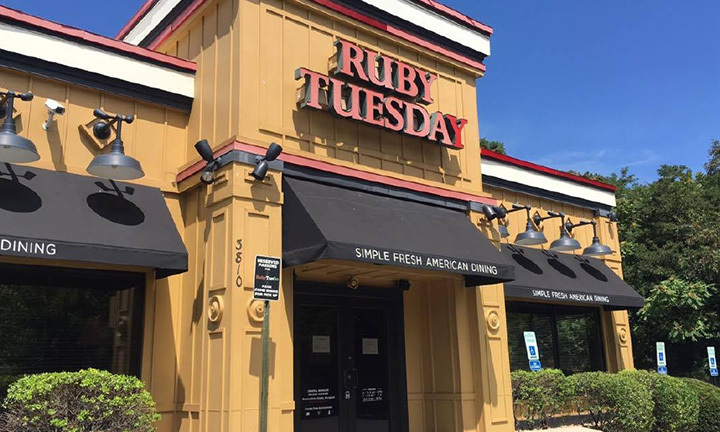 Seats approximately 180 customers (Former Ruby Tuesday). 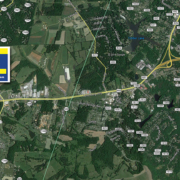 Intersection of heavily traveled Wards Rd. 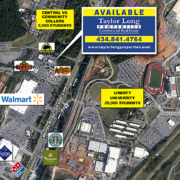 and CVCC Campus Dr.
Shopping center anchored by Walmart Supercenter. 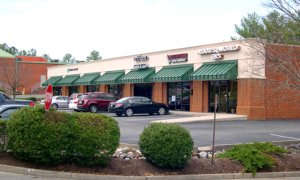 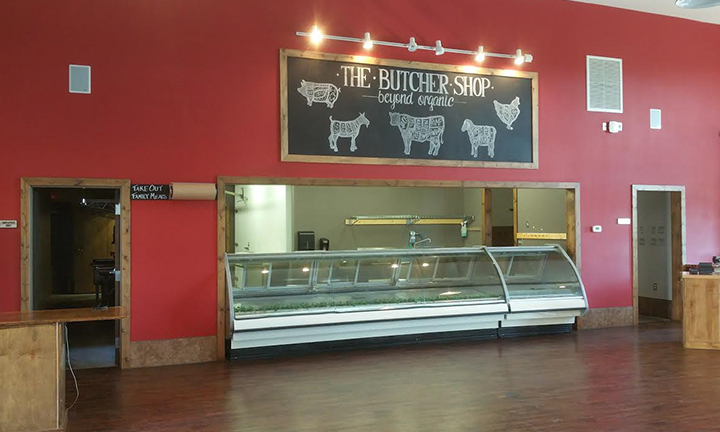 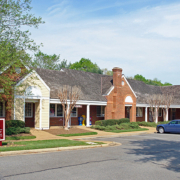 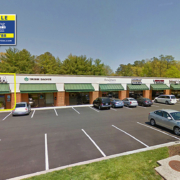 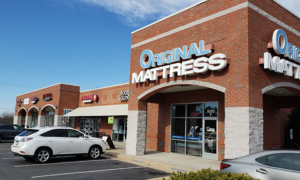 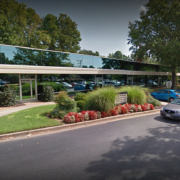 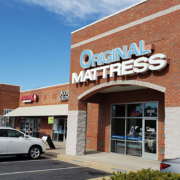 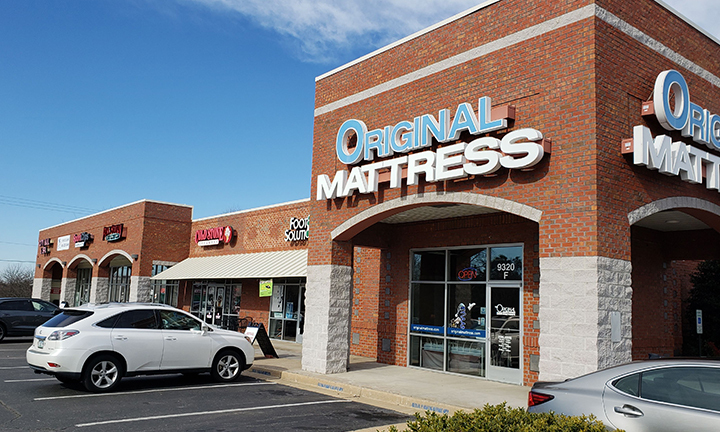 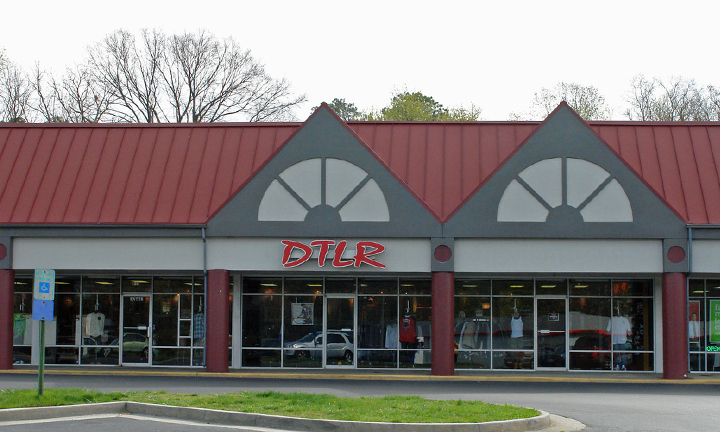 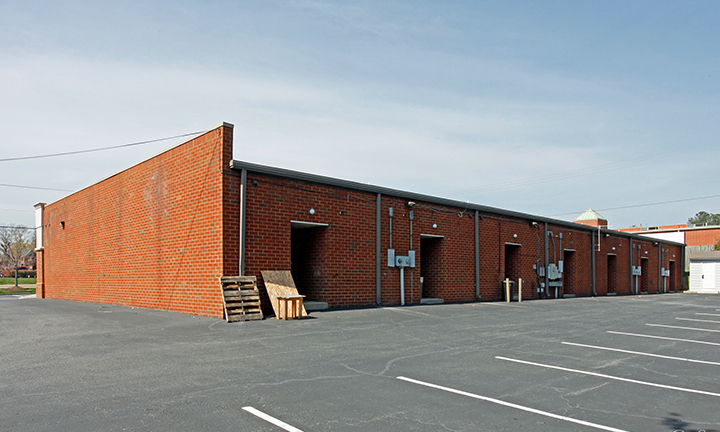 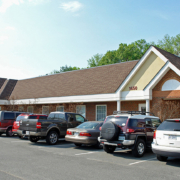 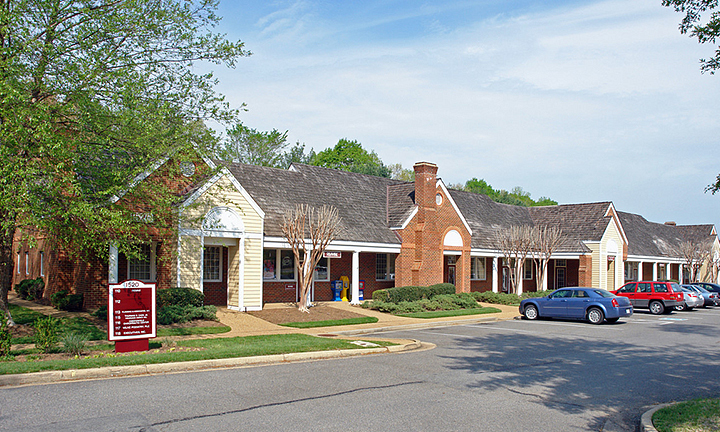 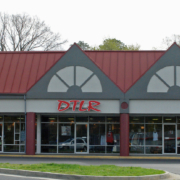 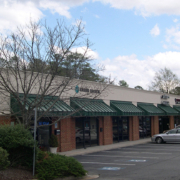 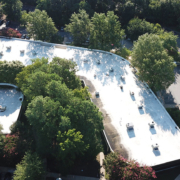 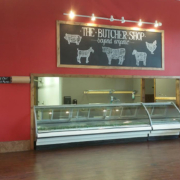 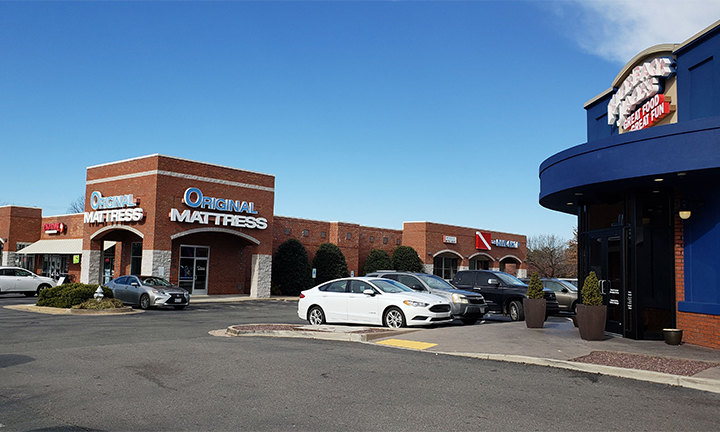 Located in the heart of Lynchburg’s shopping area, on a major commercial corridor. 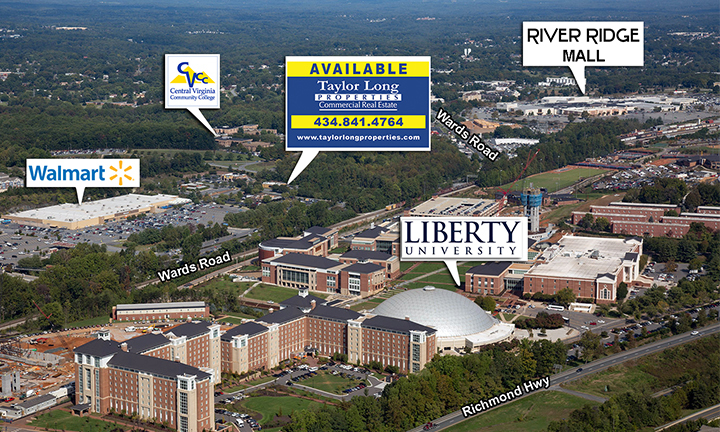 Directly across from Liberty University (20,000 Students) and Central VA Community College (5,500 Students). 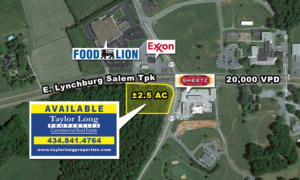 Direct access to Lynchburg Highway. 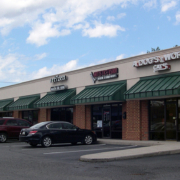 5,383 SF Restaurant/Retail Building For Sale or Lease. 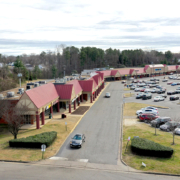 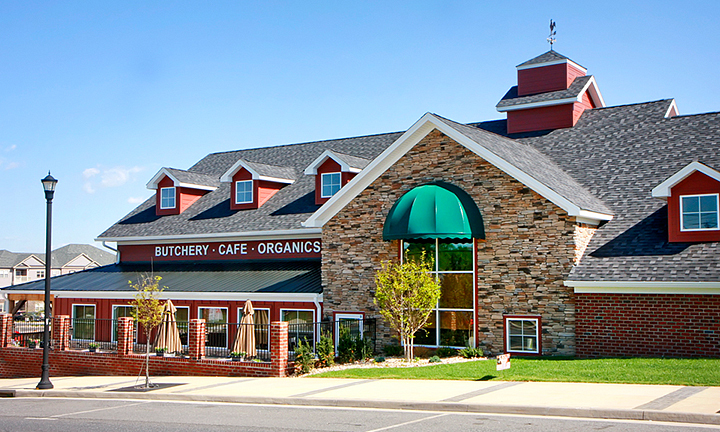 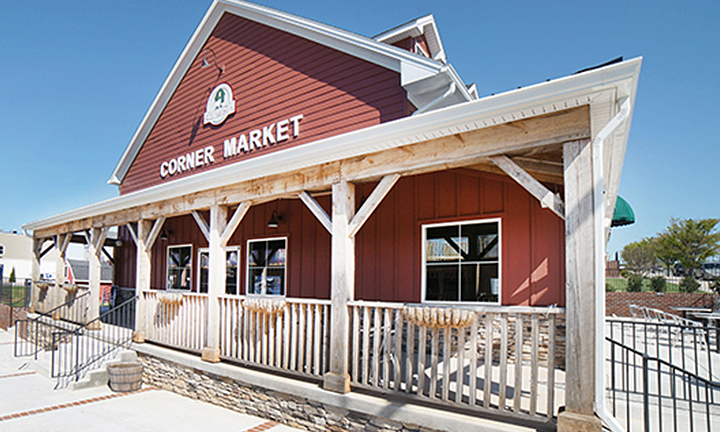 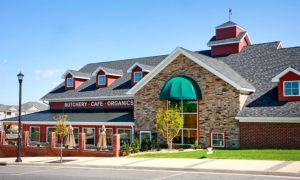 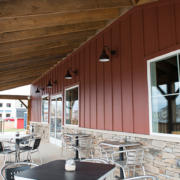 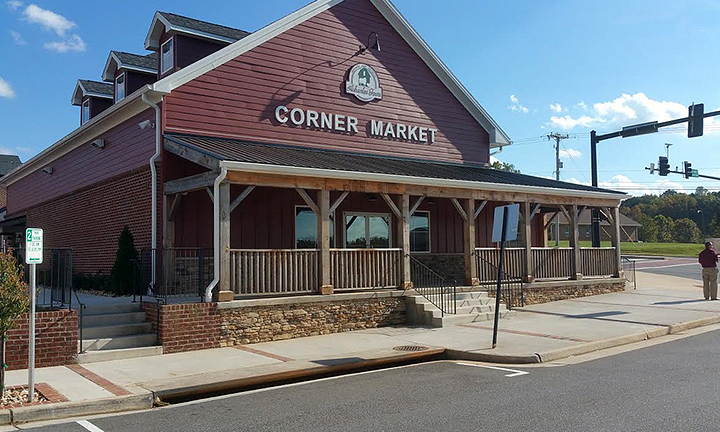 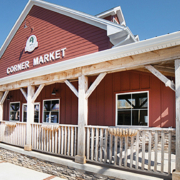 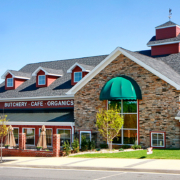 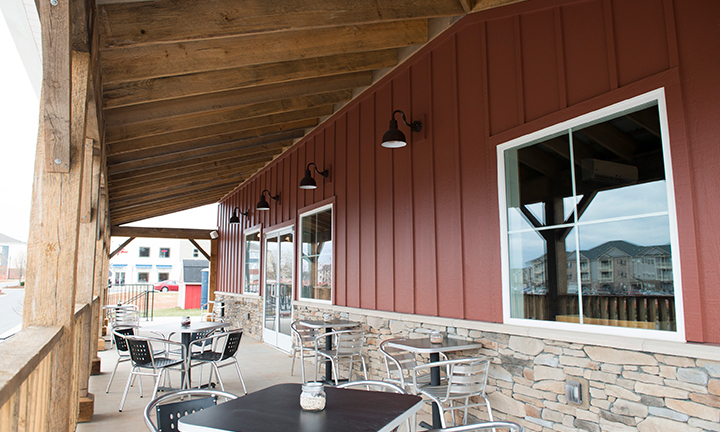 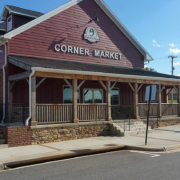 Located in Cornerstone, Lynchburg’s upscale mixed-use development, totaling 25 acres. 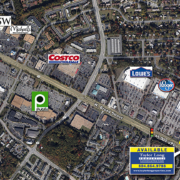 Signalized intersection of Greenview Dr. and Cornerstone St. 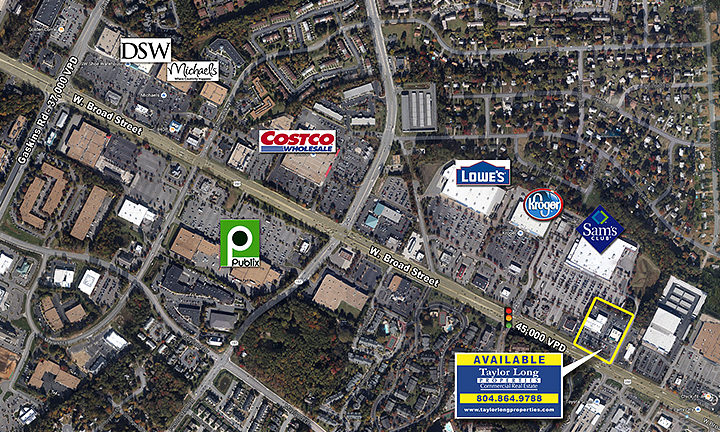 Excellent visibility and direct frontage on Greenview Drive. 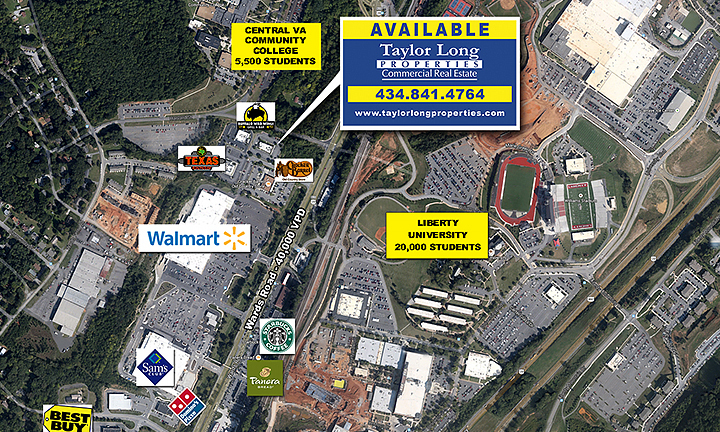 Less than 5 minutes from every major retail artery in Lynchburg. 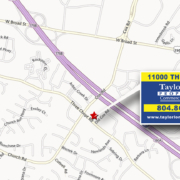 Near Route 460, Wards Rd, Timberlake Rd and Enterprise Dr. 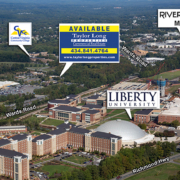 Direct bus to Liberty University.